It has been a while since fans have received new material from Brooks & Dunn, but the wait is about to come to an end. The legendary country duo is set to release their 11th studio LP soon. Titled Reboot, the LP will not only feature the classic Brooks & Dunn sound but will also step into the present and future of country music by inviting some of today’s hottest artists to contribute to the record. The album sleeve says it all, as it many of today's new faces of country music will team up with two legends of the sound. Stars such as Kane Brown (whom Houston fans can see at Rodeo Houston by clicking here), who is molding tradition country with pop, and should give a Brooks & Dunn track that extra ting of coolness; and Thomas Rhett, who will be in Kansas City (click here for details and tickets), should also give this album a taste of tomorrow. Fans can thank Nashville country station Nash FM 103.3 for spilling the tea on the new Brooks & Dunn project that should bless ears everywhere. 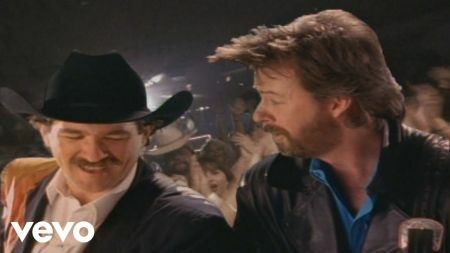 And, in case anyone was wondering, Brooks & Dunn’s last record was Cowboy Town, which was released nearly 12 years ago. Look for the highly anticipated Reboot to be released soon.